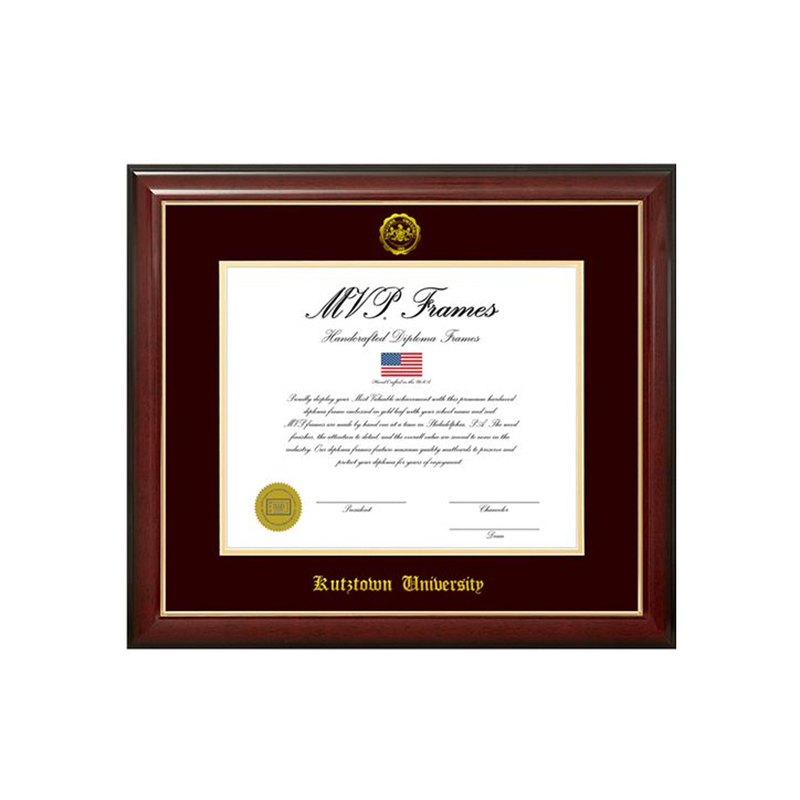 Cherry Gloss Gold Lip Stamp Seal Maroon Matting Single Opening Frame. This solid wood frame is finished in a high gloss cherry finish with fine gold accents inlaid into the frame. Conservation quality maroon matting is highlighted with a gold embossed school seal and an embossed school name.